So I’ve been working on this Layer Utility for a customer the last few weeks, and stumbled upon a neat trick for adding multiple layers to a page in one fell swoop! Well, to my surprise, Visio does have a secret add-layers feature after all! You can also do this at the page level, where you don’t need to have any shapes selected. This is a good way to setup a new page, much more quickly. 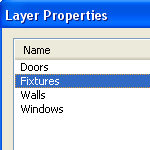 Just go to the menu: View > Layer Properties…, or click the Layer Properties button on the View toolbar. I hope this tip helps you get your Visio work done faster and with more enjoyment! this was a great little feature that was unknown to me – thanks for the great tip! what is best way to show 2-D relationships of four components? 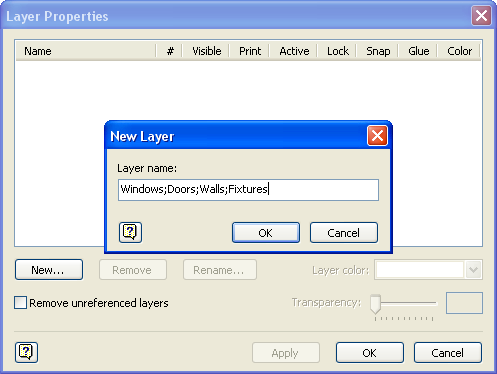 Are you aware of an add-in or workaround to allow easier view of layer dialogue box? I have a drawing with 65 layers, all of which need a relatively long explanation and date in the title. 1. 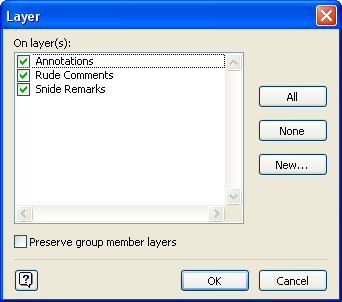 The existing dialogue box will not scale in size and only presents the names of 9 layers. Repeated scrolling results. 2. The text box only shows the first 30 characters of the layer name. 3.When a layer is turned on or off the list then jumps back to the top. Microsoft’s website states that new layers will only be added to the current page. When I add a layer I usually want it on all the pages in my document – do you have a super-cool way to do this? No super-cool way to add layer to all pages. Maybe I’ll whip up a little utility and put it up on the Products page. I have indeed created a utility that might help you out. You can learn more here. Welcome to visit my blog! you can find your dream .